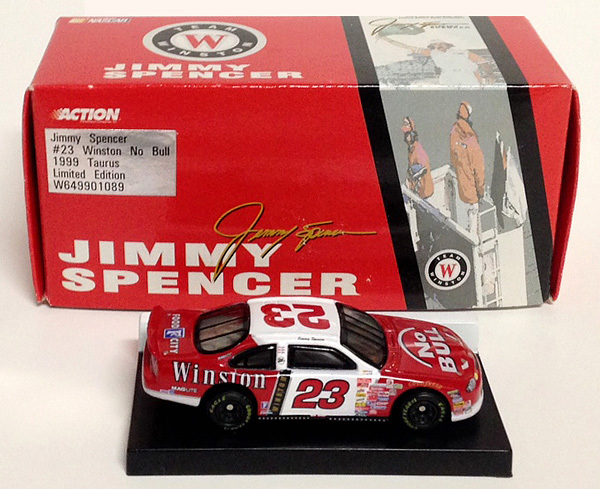 1999 Jimmy Spencer #23 Winston No Bull / Ford Taurus NASCAR diecast, by Action. The Travis Carter Motorsports #23 Winston No Bull Ford was raced by Jimmy Spencer during the 1999 NASCAR Winston Cup season. 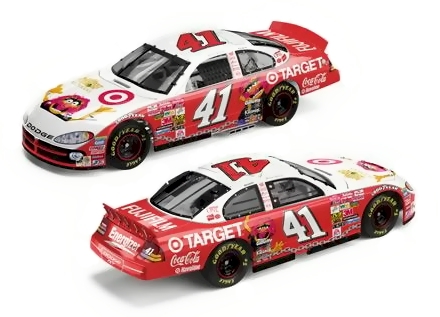 This diecast car is displayed on a pit wall base. 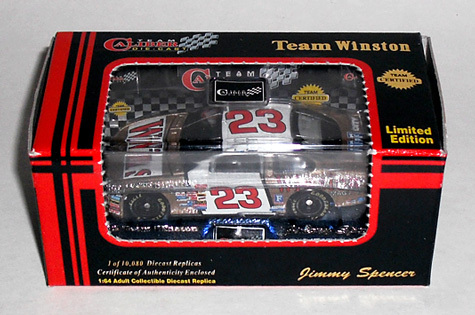 1999 Jimmy Spencer #23 Winston No Bull / Ford Taurus NASCAR diecast, by Team Caliber. 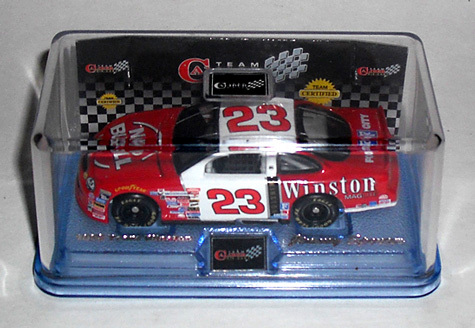 The Travis Carter Motorsports #23 Winston No Bull Ford was raced by Jimmy Spencer during the 1999 NASCAR Winston Cup season. 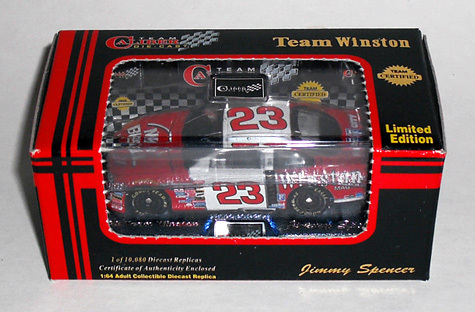 1999 Jimmy Spencer #23 Winston / Ford Taurus NASCAR diecast, by Team Caliber. 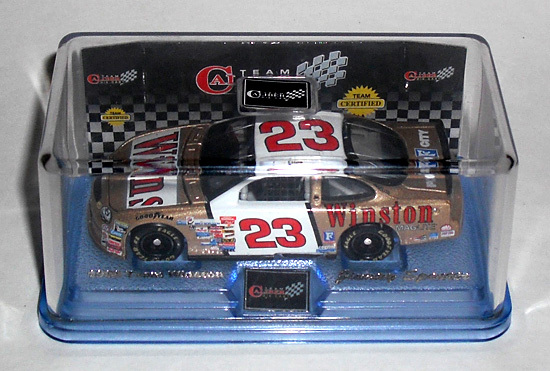 The Travis Carter Motorsports #23 Winston Gold Ford was raced by Jimmy Spencer during the 1999 NASCAR Winston Cup season.